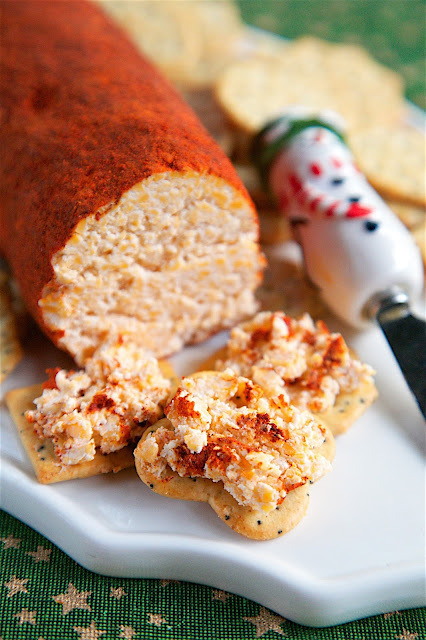 Cheese Roll recipe - cheddar cheese, cream cheese, dry mustard, hot sauce, garlic, mayonnaise and Worcestershire - mix together and roll in a mixture of chili powder and paprika. Great for parties! I am totally addicted to this cheese roll! I could literally eat the whole thing! Serve with crackers. This might be my most favorite Cheese Roll recipe of all-time. The recipe is from a family friend and my Mom has been making it at the holidays forever. I could literally eat the whole thing myself! Not only is it crazy good, it is super easy to make. You probably have everything in your refrigerator to whip this up right now for a New Year's Eve party! I like to make one big cheese roll, but you could also split it into two rolls if you prefer. 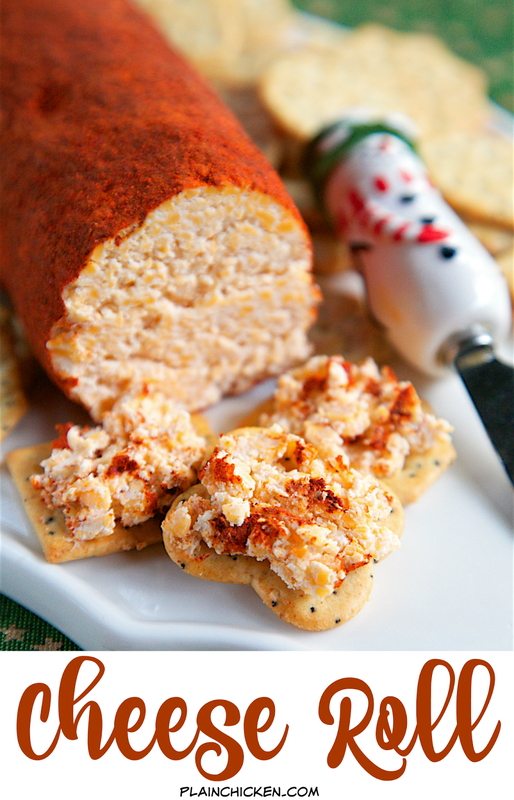 Serve the cheese roll with your favorite crackers. I like Sociables and Wheat Thins. Mix together cheddar cheese, cream cheese, dry mustard, garlic powder, tabasco, Worcestershire and mayonnaise. Shape into a roll. Combine chili powder and paprika. 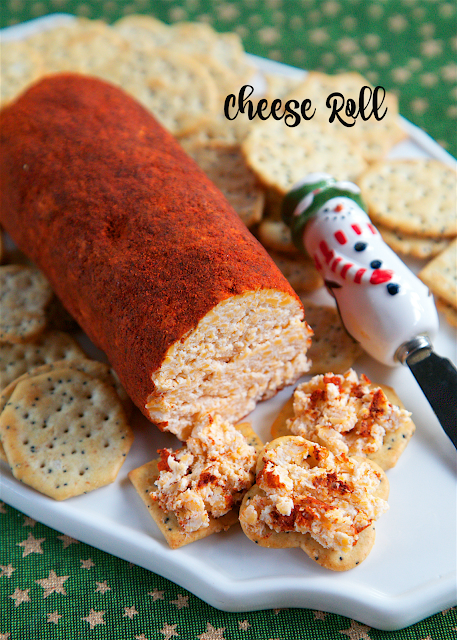 Roll cheese roll in chili powder mixture to coat outside of cheese roll. Refrigerate. I think I'll make it for tonight. You're On! I'm making this for tonight, as well. 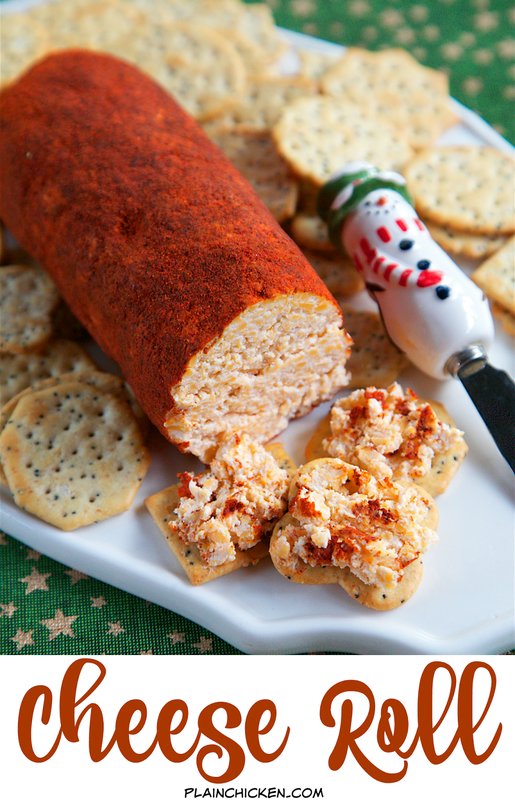 I only have smoked paprika so mine might be a cheese roll version from the cabin in the woods Ü Have a super safe and Happy New Year!! I have been looking for this recipe for a long time. I am hoping this is the one with Chili Powder. Also will add more garlic as the one I recall was garlicky and I loved this as a little girl! TY!! This is a classic recipe from my Mom’s friend. Hopefully it is what you are looking for. Enjoy!